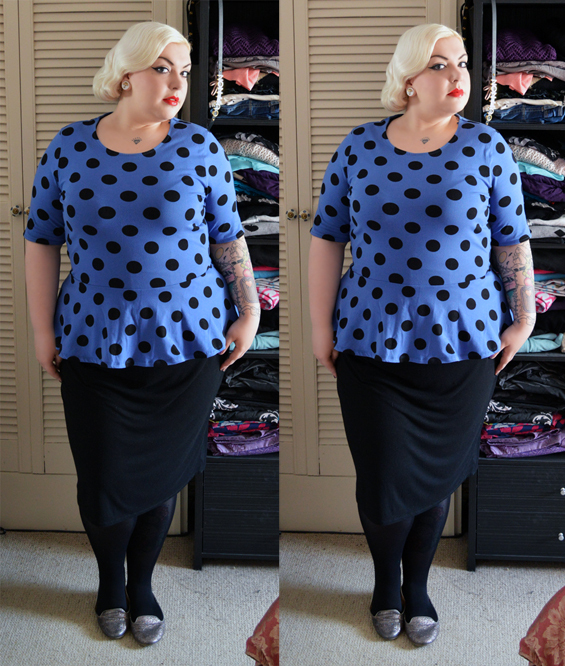 Polka and Peplums - An Outfit Post - Sugar, Darling? I love this top. It's ridiculous and kitschy and bright and fabulous and was only £6 from the Next sale! 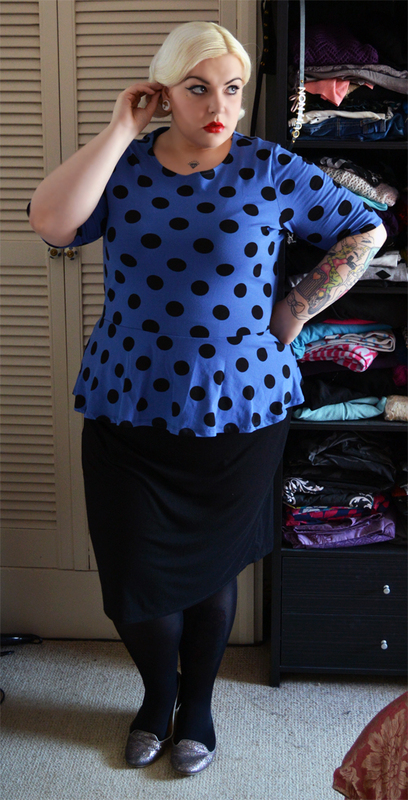 All the peplum tops I've tried on previously have been far too short in the body so the peplum has been too high up, but this one was just right with it sitting at the top of my hips. It's a nice soft stretch cotton too. I teamed it with my favourite and most comfortable black jersey skirt that I wear far too much, and some glittery tab shoes and tights. I like to cover my leg tattoos for work unless it's a 'wear what you want' day. Not really sure why, I just do. 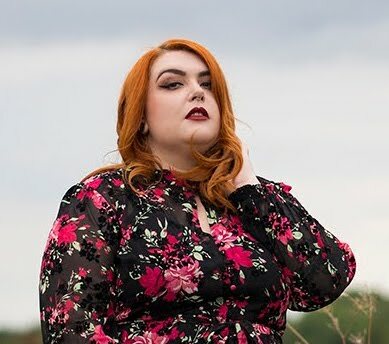 I've really taken to pinning my hair up into a faux-bob recently - it's so easy just setting it the night before and then giving it a little back comb and pinning it up in the morning. The set last easily two days too which is great for me as I try to only wash my hair every other day so it can get some natural oils and not dry out too much - a common problem with bleached hair. I wore my new Miss Mary of Sweden corselet underneath this outfit which made me feel much more supported and smoothed out than usual. It was also great help with posture as I felt myself naturally sitting straight up in it all day. Sorry no pics of that, I'm not brave enough to do lingerie pics!! !